Some of the policy changes recommended in the National COSH report on workplace fatalities include strengthening the OSHA Act and passing new laws to protect workers. 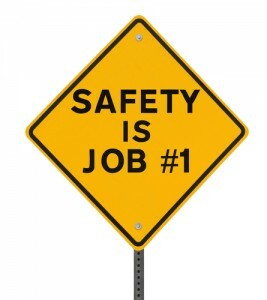 As discussed in National COSH Report Recommends Reforms to Prevent Workplace Deaths (Part 1), the April 2013 report compiled by the National Council for Occupational Safety and Health (National COSH) reported some eye-opening statistics regarding the frequency of workplace fatalities in the U.S. In addition to these statistics and discourse on various workplace safety topics, this National COSH report also spelled out a series of specific policy recommendations aimed at trying to minimize preventable workplace deaths. Add some teeth to the OSHA Act – This would enable officials to go after employers who regularly commit flagrant safety violations by filing felony charges against them in the event these violations result in a worker’s death. Strengthening the OSHA Act could also make it feasible to levy harsher penalties on employers who violate safety regulations even if a worker is not killed due to such violations. Require Injury and Illness Prevention Programs – With IIPPs mandatory for employers, they would be responsible for being proactive about pinpointing and remedying hazards in the workplace. Enact laws to specifically protect temporary workers – Very few states currently have laws in place to protect these workers. By having all U.S. states adopt such laws, temporary workers can be afforded the same protections as permanent workers. Enact effective immigration reform – Such reforms would provide undocumented workers with the same protections afforded to U.S. workers and would give them a voice to speak up against employers who commit egregious safety violations. The overall themes in these recommendations are to hold negligent employers accountable and to provide workers with the maximum level of protections they deserve in order to reduce the 4,600 workplace deaths that occur each year in the U.S.